Kuldeep Yadav became only the seventh bowler to pick up a five-wicket haul in all three formats of the game. The 23-year-old left-arm wristspinner wants to belong in Test cricket, badly. He's fast becoming one of the most lethal bowlers in ODIs and T20Is but craves success in the format "everyone wants to feature in". His debut was memorable - a four-wicket haul against Australia, and he picked up those wickets at a time when Australia were trying to dominate - but he had a much tougher time in his most recent outing, at Lord's, where India misread a seamer-friendly pitch. Since then, Kuldeep has been in a desperate rush to get better at red-ball cricket. "I went to my coach after returning from England, I bowled a lot with the red ball for 3-4 days. It was difficult for me since after playing with the white ball, you tend to lose the rhythm (for red-ball cricket). I was with my sir [coach] for 4-5 days, concentrated a lot on bowling around the wicket as well as over the wicket, on my release, and also on the pace since in one-day cricket your pace increases. But when you play Test cricket, you have to 'air' the ball hoping that the batsman would take his chance." 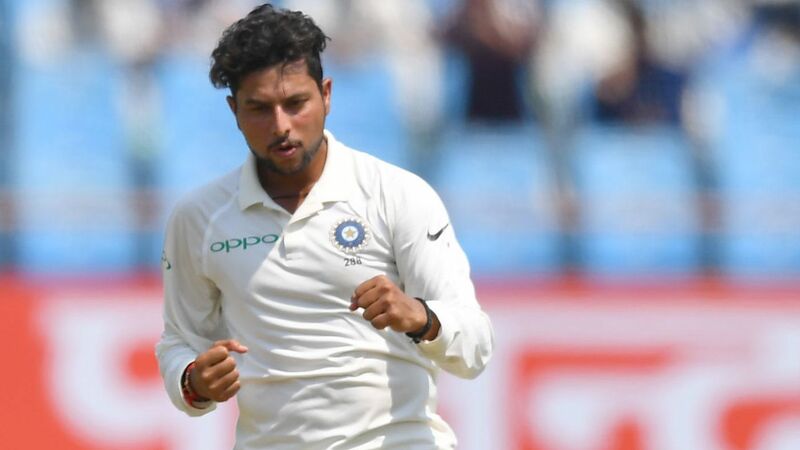 Kuldeep was sent home from India with specific instructions that he would link up with the A team that was playing first-class matches in Bengaluru. "The red-ball cricket is very close to my (heart) and I want to play red-ball cricket for long. That's the whole focus. In England, the conditions were different, maybe I could have bowled well there, but it did not happen that way. Then after coming here, played two matches with India A, it was a good comeback." Australia had sent their A team to India with several Test players so that they can prepare for the series against Pakistan in the UAE. Kuldeep played two matches against them and picked up 12 wickets including a five-for in the second game. The thing he struggles with when switching formats appears to be centred around the two different balls. "Coming back to the red ball from the white ball is very difficult and also challenging. For a wristspinner, it is challenging because it takes time to get used to it. The white ball is a bit hard and is easier to grip. But the red ball, after a few overs, it gets softer, so it takes time to adjust." Kuldeep was coming into this series after a spell with the India ODI side at the Asia Cup. And as he keeps saying, it took a while for him to adjust. In the first innings, he picked up one wicket from his ten overs while conceding 62 runs, being swept by the lower-order batsman Keemo Paul continuously. In the second innings, things changed. "Every time I gave the ball flight, runs were leaking. So when I came back for the second innings, I thought of putting a lid on the scoring rate, and [felt] as a result, wickets would come. So that was the plan - I had to guard against that extra flight because these West Indies batsmen have the power game, they can score freely. So I kept it in mind, used the variations and plugged the scoring rate." The change of tactic worked. Kuldeep had his beloved five-for and India completed their biggest ever win.